Author Robert Louis DeMayo on House Mountain in Sedona, Arizona. This website is dedicated to presenting the works of author Robert Louis DeMayo. In 1988 Robert began submitting travel articles for The Telegraph, out of Hudson, N.H., but even before that he filled his days writing about the incredible things he’d encountered while traveling. Since he first hit the road when he was 21, writing was not just a way of documenting a place, but understanding it. During one fifteen year period he traveled through close to one hundred countries and while on the road filled thirty journals. This passion extended into story telling and over the last twenty five years he has written five novels, a novella and a collection of poetry, and numerous screenplays. The novels are shown below, and each has a link to a separate page with more information. Travel Fiction, 326 pages – available in print or eBook. We resist change, even when it’s exactly what we need. Most of us prefer to wallow in our losses before letting our hearts drift into the future. And even when that change is thrust upon us, we suffer through it, only reluctantly traveling that new road. This is the story of a young family who set out to discover a new home in America. Jobless in the wake of 9/11, they cross North America six times in their quest, peripatetically wandering the country from Maine to Alaska to Baja and the southwest. Along the way they discover that home is something you take with you, and even if your adventure turns into a complete coddiwomple—money running out and plans crumbling before your eyes—it really is about the journey, not the destination. Historical Fiction, 318 pages – available in print, eBook or audiobook. Note: Silver winner for Historical Fiction by the eLit Awards, and also by the Pinnacle Book Awards. Memoir-based Fiction, 700 pages – available in print and as an eBook. The Wayward Traveler follows the adventures of Louis, a young American who, in 1985, is determined to travel the world. The story takes place in forty countries and spans ten years: from the deck of a felucca on the Nile to the scorched dunes of India’s Thar Desert to the powerful Beni River in the Amazon Basin. Louis feels disenchantment with his former life, and a yearning to understand the foreign lands he encounters on his travels. He’s broke most of the time and spends considerable effort trying to get by. Along the way he meets other travelers. He learns about love and compassion, and hate. He befriends a Thai monk and Hindu Sadhu Babas and learns about other ways of thought, and enlightenment. Along the way Louis develops a list of Rules to help him get by, and yet, there´s a restlessness to his travels. He continues to wander into new countries, and through it all his Rules save him. On a frozen ridge in the Atlas Mountains he comes up with his first rule, Embrace the Unknown, to combat the fear that had been building in him. In Israel he decides If You Can’t Get Out of Something, Get Into It when his survival depends on pushing his body beyond its limits. And when he’s under the spell of a mad salesman with three personalities he realizes how importance it is to Choose Your Battles. The cover artwork was completed by Tom Fish, a former Disney artist. 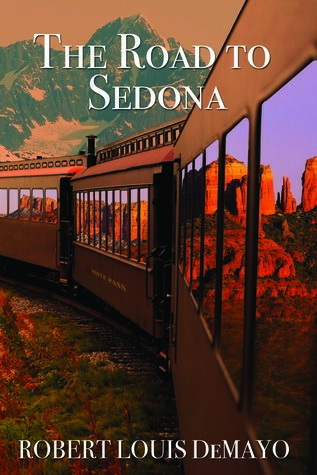 Winner of the Pinnacle Book Award for Travel Fiction. Historical Fiction, 336 pages – available in print, audio and as an ebook. The Making of Theodore Roosevelt is a 336-page coming of age story about Theodore’s experiences in northern Maine when he was twenty. Six months after his father died Roosevelt went to Island Falls, Maine, where a woodsman named William Sewall taught him to be an outdoorsman. This fictionalized version of Theodore’s three trips to northern Maine in 1878 is appropriate for all ages. Fiction, 276 pages – available in print and as an ebook. The Light Behind Blue Circles. Artwork by Tom Fish. The Light Behind Blue Circles is an African ghost story that involves several travelers and the Maasai. This story is 276-pages and follows a young South African boy, named Peter, on safari in Kenya with his father. The two befriend a Maasai warrior and accompany him on a journey to save a friend of his (who turns out to be a rhino). Things don’t turn out as hoped and when Peter returns to South Africa he finds he is haunted every night by reoccurring nightmares about the incident. Ten years later he decides to hitch hike to Kenya (from South Africa) to explain the nightmares; along the way he hooks up with several travelers who help him on the 3,000 mile journey. The closer he gets to Kenya the realer his dreams become. The cover was a finalist for the da Vinci Eye Award. It was completed by Tom Fish, a former Disney artist.